I propped my camera on the grass and tilted it up to snap this photo of the 1894 Valley Grove church, rural Nerstrand, Minnesota. MID-SEPTEMBER AIR HUNG HEAVY with humidity, more summer-like than autumn on this Sunday afternoon at two country churches in southeastern Minnesota. A view of a section of the Valley Grove cemetery through a partially open window in the wood-frame church. But, inside the sanctuary, Randy and I sat near a window cracked open to the cemetery, wind fanning a breeze, and at one time a wasp. Duo churches grace the hilltop, the clapboard church replacing the original stone church for worship. Inside the 1894 church with Doug Ohman’s equipment set up for his talk about country churches. Visitors take a guided walk of the restored prairie. I shifted, trying to find comfort on the hard wooden pew inside the 1894 church at Valley Grove, one of two built on a hilltop offering sweeping views of the countryside, Nerstrand Big Woods State Park next door and the small town of Nerstrand just miles to the southeast. Both church buildings remain, preserved, sanctuary doors opening to one another across a short swatch of lawn. The arched entry gate to the church and cemetery grounds. Imagine how many preachers preached from this pulpit. Ohman ended his talk with a short “sermon” advising us to view people and situations from the inside rather than the outside. He used a visual–that of a stained glass window appearing unimpressive from the outside but beautiful when seen from the inside. The Valley Grove churches and cemetery. And that’s saying something. Ohman has photographed 3,000 plus Minnesota churches, many featured in his book Churches of Minnesota published by the Minnesota Historical Society Press as part of the Minnesota Byway series that also covers barns, courthouses, schoolhouses, cabins and libraries. Vintage photos and artifacts were propped on windows in the stone church. Visitors observed and participated in the craft of rope making. A woman demonstrated the art of making krumkake, a Norwegian cookie, available for sampling. Old buggies on the grounds added to the sense of history. A strong sense of history certainly exists at Valley Grove. Although I have no personal connection to these historic churches, I appreciate them. Like Ohman. “The church,” he said, “is a symbol of our heritage.” I agree. Valley Grove is an oft-photographed site with photos and artwork of the churches gracing notecards for sale at the country social. He personalized, as did Jon Rondestvedt, another storyteller who shared cemetery stories following Ohman’s talk. Rondestvedt spoke of Oscar and Clara Bonde, a couple buried in the cemetery adjacent to the two churches. Clara, he noted, was a teacher within the Normal School system before her marriage to Oscar. She loved raspberries, hated moles. She was known for her green thumb skill of growing African violets. And Oscar, well, he was known as a cookie thief, a tag that caused us to burst into laughter. A snippet of the musical group Hutenanny, which performed under a sprawling oak. Such stories reinforce Rondestvedt’s opening statement that tombstones are “testimonies to people who lived, breathed and mattered.” I like that word choice, mattered. “It’s up to us to remember them,” this storyteller said. Jon Rondestvedt talks about the Hellerud family at their gravesites. Later he moved from the shade of a sprawling burr oak to the sun-drenched plots of the Hellerud family. There he explained how husbands sometimes chose to honor their wives via only the woman’s name engraved on a large tombstone, the man’s grave marker nearby, a simple flat stone laid flush to the ground. “She was seen as a treasure by her husband,” Rondestvedt said. This was a new piece of information I will take with me now in my stops at country cemeteries. As I watched draft horses pull a wagon through the prairie, I imagined immigrant families traversing the prairie also. I left Valley Grove, too, with a desire to read Giants of the Earth, a classic by O.E. Rolvaag about Norwegian immigrants settling in America. Rondestvedt read selected passages at the burial sites of the Helleruds, the wind ruffling pages of the aged novel. Packets of milkweed seed ready for the taking. Shortly thereafter we gathered around the grave marker of Hannah Stenbakken Hellerud, a school teacher so beloved by a young boy that he said she was the first person he wanted to see in heaven. A monarch butterfly dipped and rose, circling our group. The butterfly seemed a symbolic ending to the afternoon, coming full circle to my first stop upon arriving at the Valley Grove Country Social. I’d stopped initially to check out a booth about monarchs. I left with a packet of swamp milkweed seeds which I will seed near the common milkweed already growing in my yard. 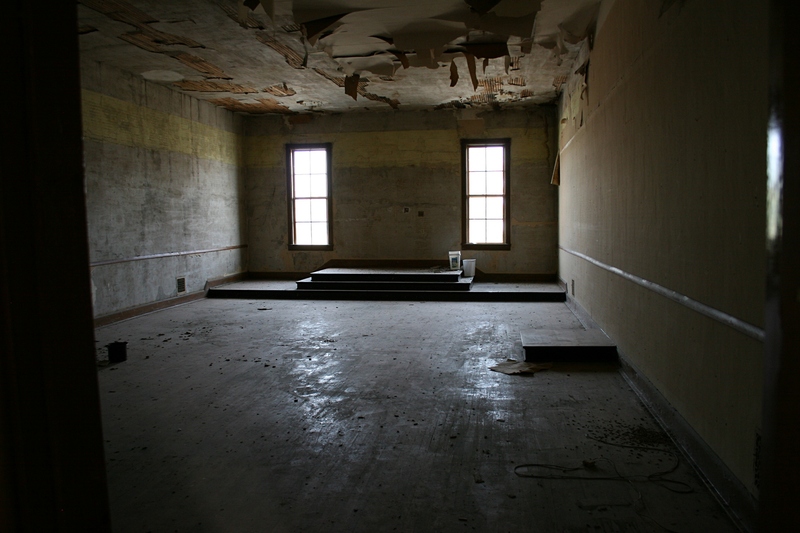 Efforts have been onging since 2007 to restore the 1862 limestone church. Inside the plain stone church, a rebuilt chandelier adds elegance. The Valley Grove Preservation Society has worked hard to restore both churches. Valley Grove is on the National Register of Historic Sites. It is up to us to preserve—a population of threatened butterflies, country churches atop a hill, stories from churches and cemeteries…all that which holds our history, our heritage. Every celebration calls for cake, including this cake served inside the stone church at the Valley Grove Country Social. And it is up to us also to celebrate that which has been preserved. IF YOU’RE NORWEGIAN (which I’m not), appreciate historic country churches (which I do), rejoice in the preservation of old buildings (which I do) and value worshiping God in a rural setting (which I do), then venture into Monkey Valley this weekend. If you can’t resist a tasty meal in a church basement (which I can’t), love strawberries (which I do), enjoy good fellowship with the locals (which I do) and delight in a beautiful and historic country church (which I do), drive south of Monkey Valley to Moland on Sunday. 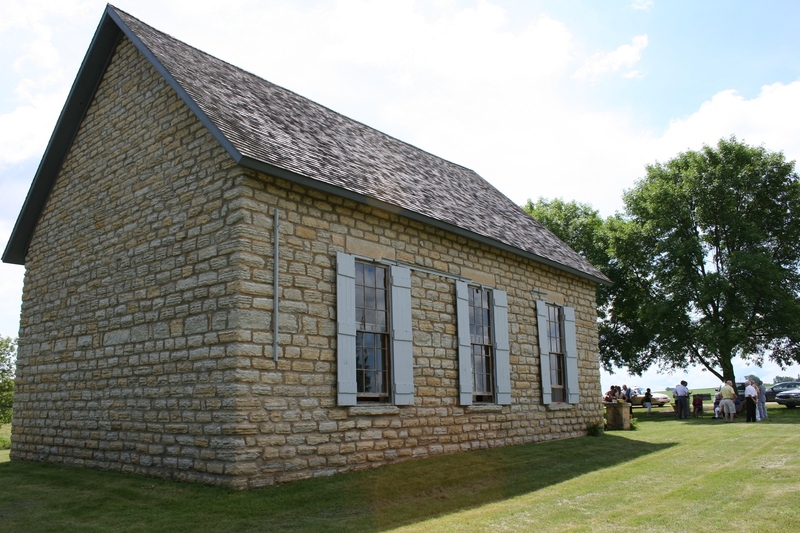 A rear view of the Old Stone Church, a simple structure with three shuttered windows running along each side of the building. 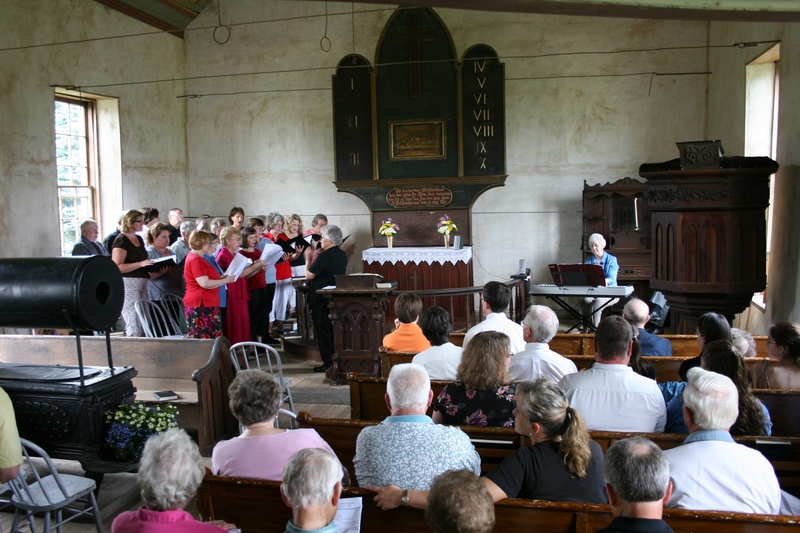 Within miles of each other, two area churches are celebrating this weekend, first with a Norwegian church service in an 1875 limestone church, appropriately called the Old Stone Church and located 2.3 miles south and west of Kenyon along Monkey Valley Road. A stone’s throw from the Old Stone Church, a view of Monkey Valley. The road name alone was enough to draw me to this ethnic worship service three years ago. As one story goes, monkeys escaped here from a traveling circus and fled into the woods. True or not, I’m buying it. To read about the Norwegian worship service I attended in 2010 and to learn more about the Old Stone Church, click here and here and here. Sunday’s once-a-year worship service begins at 9:30 a.m.
Moland Lutheran Church, a Norwegian Lutheran church south of Kenyon in Steele County near Owatonna. About the time the service wraps up at the Old Stone Church and you’ve finished mingling, you’ll start thinking about lunch, conveniently served at Moland Lutheran Church a few miles to the south and west at 7618 84th Avenue N.E., rural Kenyon, close to where the counties of Rice, Steele, Dodge and Goodhue meet. From 11 a.m. to 3 p.m., Moland folks will serve pulled pork sandwiches, potato salad, strawberries with angel food cake and/or ice cream, chocolate cake (if the menu is the same as in 2010) and beverages. As church meals go, I’d highly recommend this one for the food, the hospitality and setting. Be sure to check out the sanctuary and history of this 1884 country church before leaving. 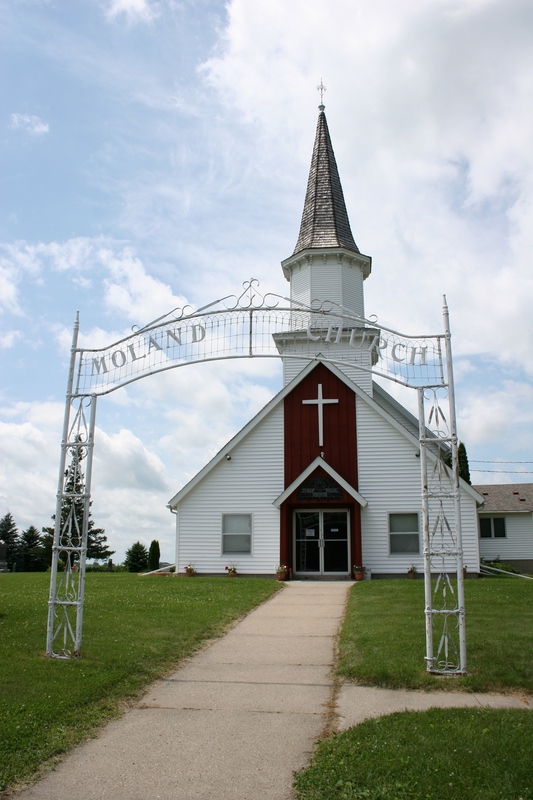 Moland reminds me of the Lutheran church I attended growing up in southwestern Minnesota. 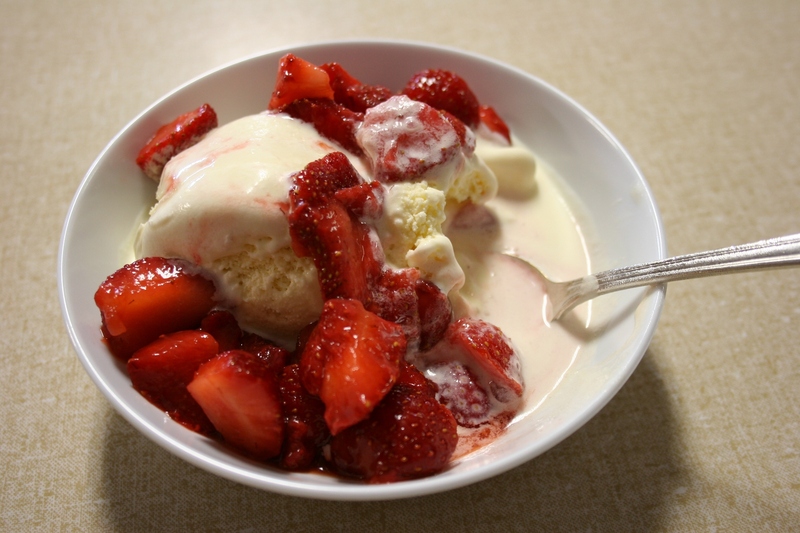 The Moland folks serve a generous amount of strawberries with two scoops of ice cream. To read my 2010 post on the Moland strawberry festival, click here. 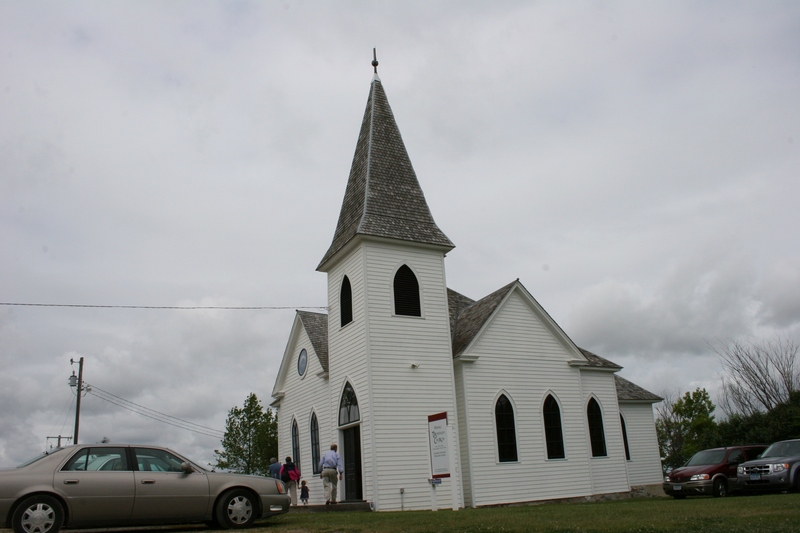 My Moland post, “In Praise of Preserving Country Churches,” was featured in WordPress’ “Freshly Pressed” on July 9, 2010. That’s a huge honor for any blogger, to have his/her work selected as among the best of the day from WordPress blogs world-wide. You can read about that honor by clicking here. Last year I was also featured in WordPress and you can read that post about the Faribault Heritage Days Soapbox Derby by clicking here. The real honors, though, go to all those men and women out there who preserve country churches and serve all those delicious meals in church basements. FYI: To read about more church dinners/meals, check out the Faribault-based blog, Church Cuisine of Minnesota, by clicking here. 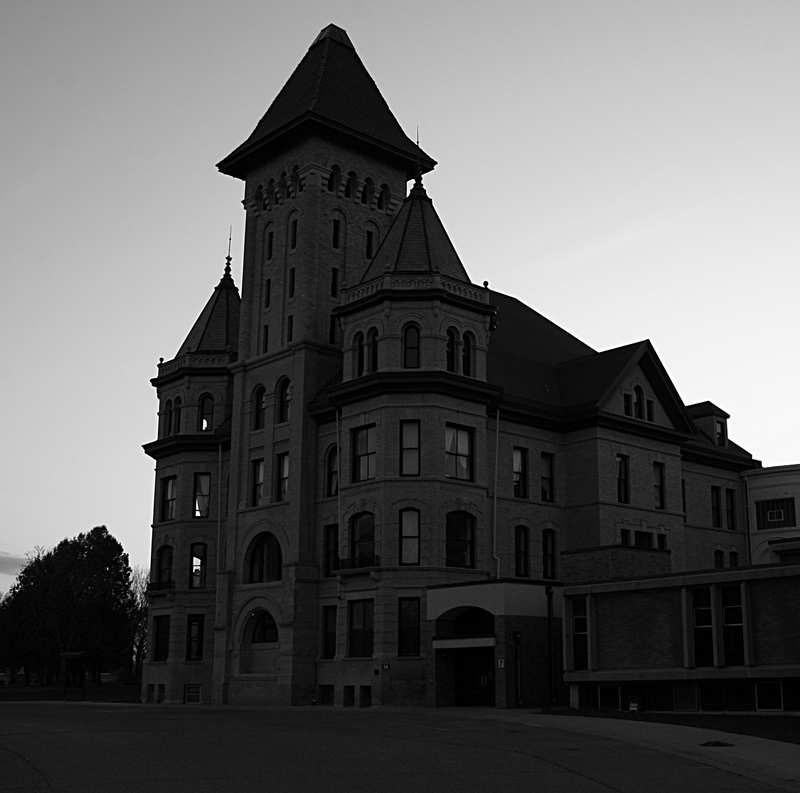 Daylight was fading as I snapped this photo of the anchor building on the former Fergus Falls State Hospital/Regional Treatment Center campus in mid May. 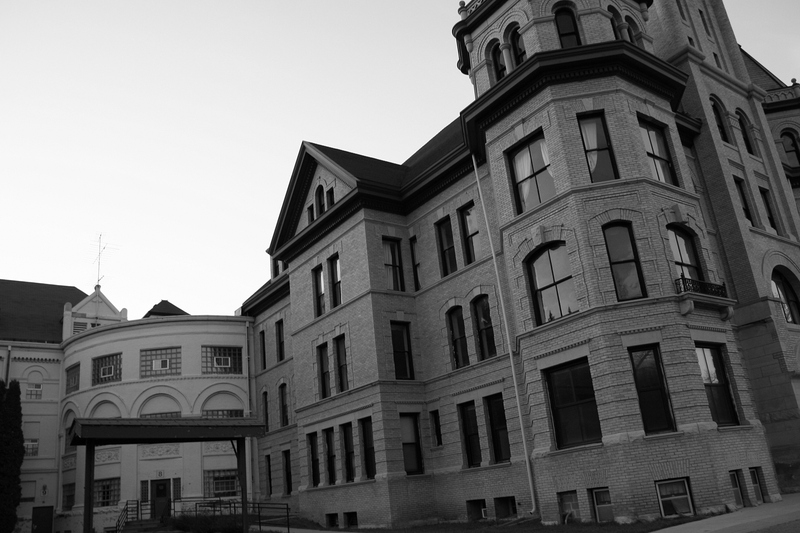 FROM THE EXTERIOR, the sprawling former Fergus Falls State Hospital/Regional Treatment Center presents an impressive and serene presence. The historic buildings feature some incredible architecture. That marked my initial reaction upon viewing the towering, turreted and massive buildings on this west central Minnesota campus in mid May. But I expect that the historical use of this place would tell a different story. 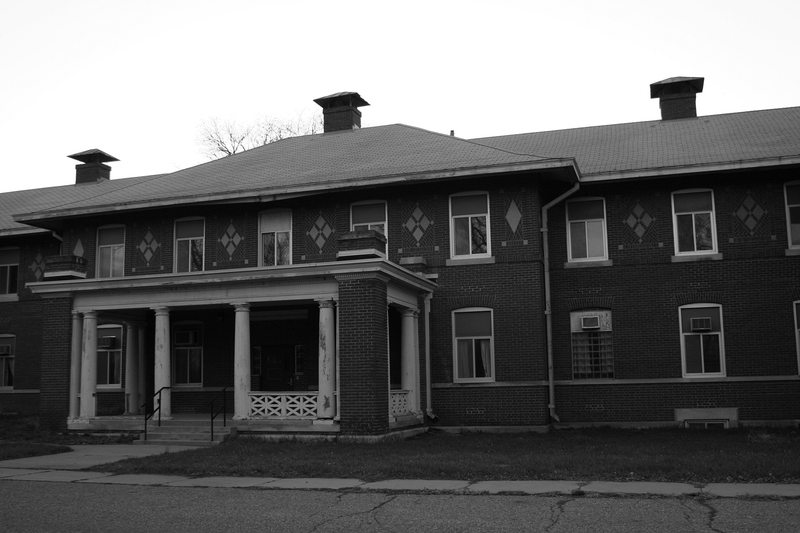 In 1885, the State of Minnesota commissioned this as the Third State Asylum for the Mentally Ill. The word “asylum,” for me, evokes negativity. Eventually, the complex would also be home to those with developmental disabilities, chemical dependency issues and psychiatric illnesses. One can only imagine the personal struggles and challenges faced within these walls. In those early days, I imagine treatment was not always the best or the most informed. I do not know this specific to the Fergus Falls center, only from my general knowledge of such large-scale public facilities of decades past. Eventually, those who lived here were moved into smaller community-based facilities. Wings connect to the main building. These buildings are labeled as Kirkbride buildings after Pennsylvania psychiatrist Dr. Thomas Story Kirkbride who believed in the role of environment in promoting healing among mentally ill individuals. Today the City of Fergus Falls still owns most of this campus, purchased in 2007. 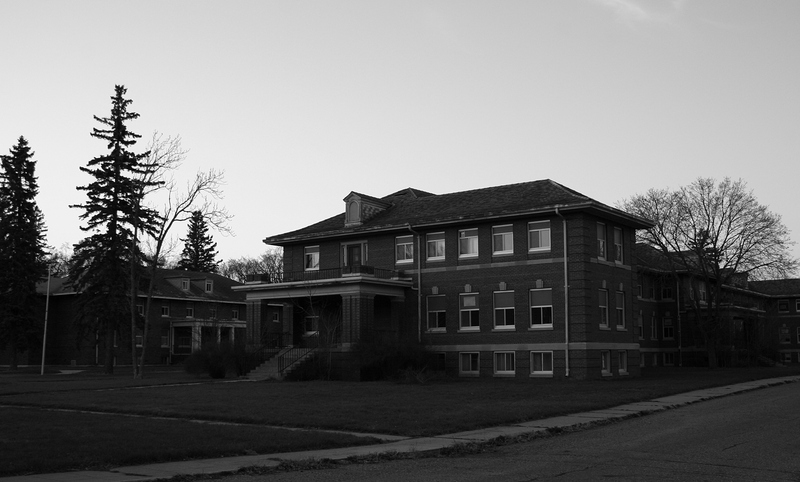 And just last week, according to draft city council minutes published on the city’s website, the Fergus Falls City Council passed a resolution “authorizing the city to enter into a Letter of Intent with Historic Kirkbride LLC as a developer for the Regional Treatment Center, subject to financial disclosure…” Historic Kirkbride’s estimated $41 million proposal calls for a 120-room first class hotel, several restaurants and 60 market rate apartments. 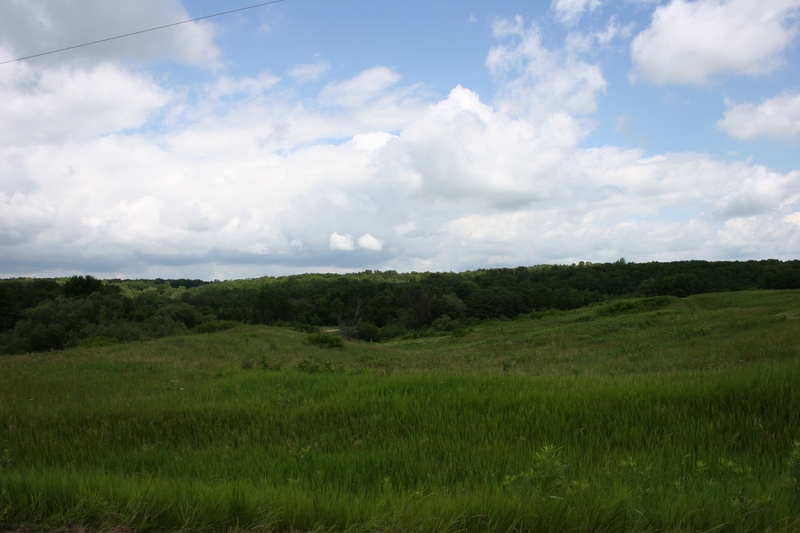 The planned development is expected to bring temporary construction jobs and an estimated 190 full and part-time positions to Fergus Falls. Even the individual brick buildings impress. The Kirkbride proposal seems an ambitious undertaking, but one worthy of this beautiful complex of architecturally pleasing buildings and an equally pleasing natural environment. Principals of the Kirkbride team bring experience to the Fergus Falls project with more than two dozen historic renovation projects completed over 33 years, according to presenter Ray Wiley of Georgia-based Historic Properties Inc.
Of course, as in all such projects involving historic buildings and lots of money and government entities and private investors, this isn’t a done deal. If all progresses as planned, though, the 120-room hotel, restaurants, apartments and more are projected to open in December 2015. The complex includes a cluster of two-story brick buildings. I expect plenty of skepticism exists over whether the planned project presents the best use of the property, will succeed, or will even get off the ground. 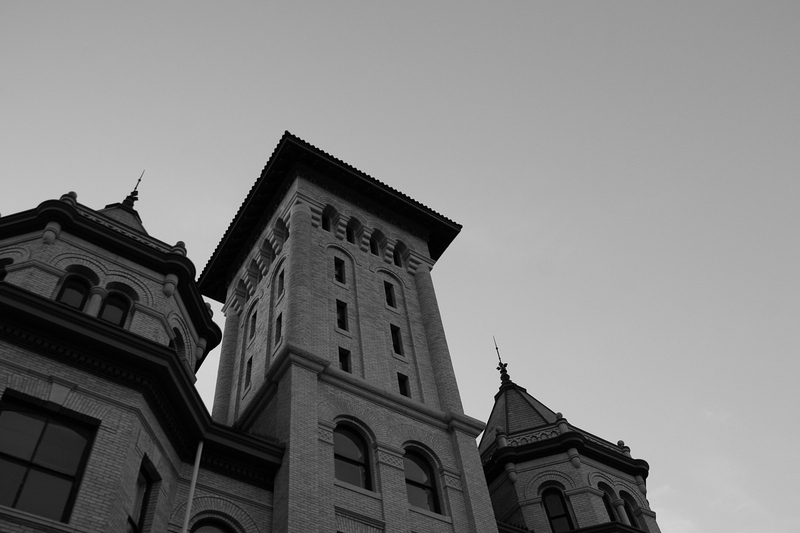 The Kirkbride proposal was one of two presented to the council last week. The other, from Twin Cities-based Colonade Design Group, proposed a wellness center serving those dealing with diabetes and obesity (and included a food and nutrition program); a hotel for participants; artisan flats and studios; services for returning veterans; condos; event space; greenhouses; and more. Click here to read details of the two proposals, public input and more from the June 12 special city council meeting. Based on my two visits to Fergus Falls in recent years, the Historic Kirkbride project certainly has the potential to succeed. 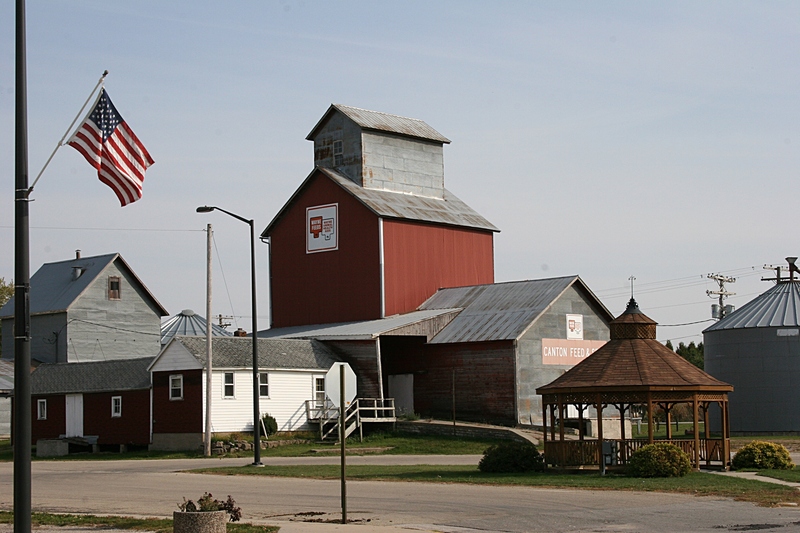 For one, this Otter Tail County seat city sits along Interstate 94, an ideal location to catch travelers in need of a respite. It’s the last sizable town westbound motorists pass before reaching Fargo an hour away. That, though, is not enough. The community possesses an artsy vibe with galleries and a theatre and historic buildings and arts events in a charming downtown that hugs the Otter Tail River. It’s a college town with Minnesota State Community and Technical College and is also a regional center of commerce and of healthcare. Developers will need to market those strengths, the historical aspect of the former treatment center, and the natural scenic beauty of this lake region. That’s a given. Future guests will need to envision Kirkbride’s hotel as a get-away because, otherwise, this will be just one more hotel (albeit an historic one classified as “first class”) in one more town along the interstate. 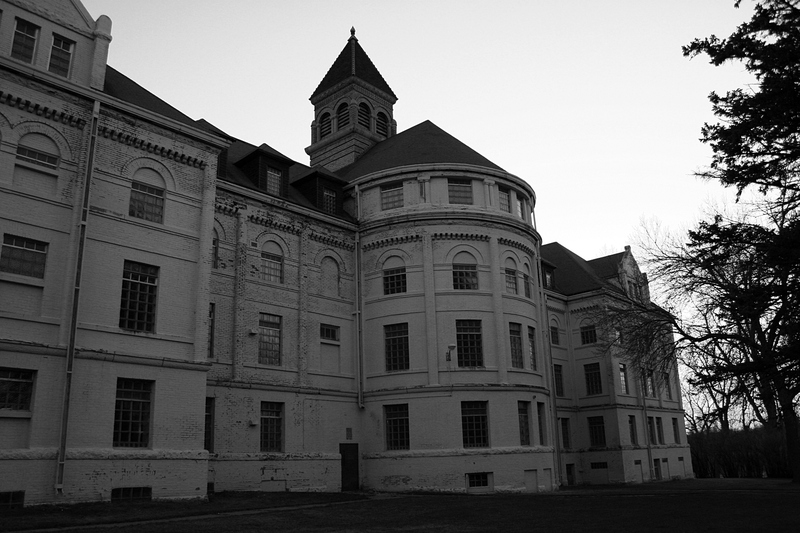 WHAT ARE YOUR THOUGHTS on Historic Kirkbride’s plans for the former Fergus Falls State Hospital/Regional Treatment Center? Can something like this succeed in Fergus Falls? The sun sets on this beautiful campus. FYI: The Fergus Falls complex is open for free public tours on Friday afternoons during the summer. Reservations are required. Phone Maxine and Gene Schmidt at (218) 736-5328. I was, unfortunately, not in Fergus Falls on a Friday afternoon and unaware then of the tours offered. Click here to read Colliers International listing of the property. Then click here to read information on the Minnesota Historical Society website. And click here to find even more info. 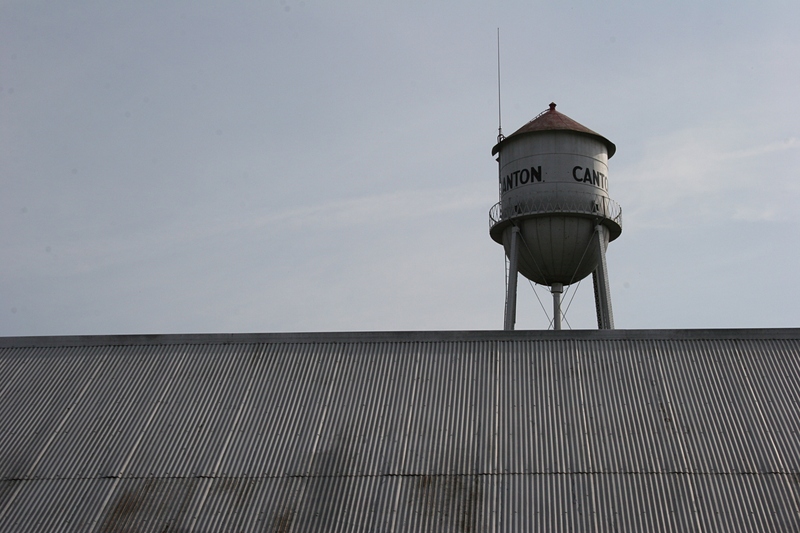 The water tower in Canton, on the other side of the roof line seen here in the foreground. LeROY HAYNES WAS BRUSHING green paint onto wainscoting in the sunny warmth of an October afternoon when I happened upon him in Canton, a town of 328, in southeastern Minnesota near the Iowa border. He was, he said, in the process of sprucing up Lumber Yard Antiques, the shop he and wife Kathie opened in July. Kathie’s originally from Canton where the couple now lives only three blocks from their antique store. When the lumber yard moved here, it added the front red part of the building onto the former Masonic Lodge building on the right. The first floor of this complex now houses Lumber Yard Antiques. They named their business after the lumber yard previously housed in the building complex which some 10-plus years ago was home to another antique shop and before that Canton city offices. The older part of the Haynes’ shop, the Masonic Lodge building, was once rented out by the Masons and used as a grocery store, barbershop and even as apartment space. See what you learn when you start a conversation. 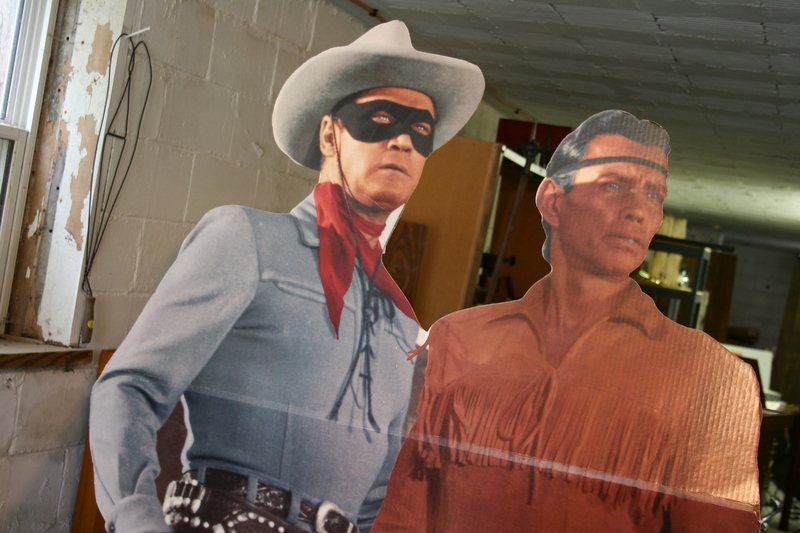 I learned even more when I spotted a cut-out of Tonto and the Lone Ranger and mentioned to LeRoy that I’d seen one just like it in the basement of an antique shop in Stockholm, Wisconsin. The Lone Ranger and Tonto cut-outs, photographed last fall in Stockholm, Wisconsin. Imagine my surprise when LeRoy informed me that the cut-out had come from Stockholm, where he once sold his antiques and collectibles at A+ Antiques & Oddities. 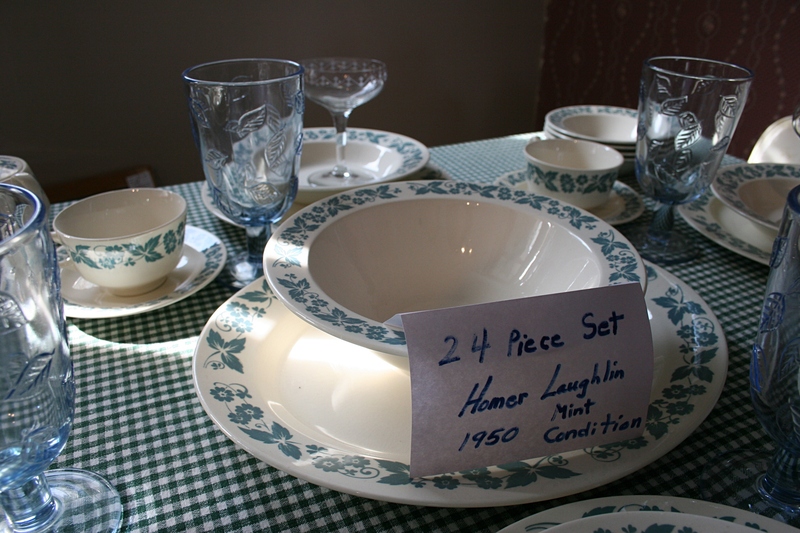 Beautiful 1950 Homer Laughlin china for sale at Lumber Yard Antiques. LeRoy and I hit it off marvelously and soon he was offering to take me and my husband into the upstairs of the former Masonic Lodge. I had my doubts as this Presbyterian minister led us past a jumble of boxes, over broken glass and finally weaving our way up a steep and dark stairway littered with piles of bird poop. And I was wearing flip flops. Inside the former Masonic Lodge, the second floor of Lumber Yard Antiques. Can you see the potential here? But it was worth the climb when LeRoy led us into a spacious room with incredible potential, despite the crumbling ceiling and general disrepair. The wood floor and the step-up small “stages” on both ends of the room—something to do with Masconic ritual, LeRoy said—instantly ignited my creative thoughts. This, I told our tour guide, would be perfect for theatre and/or music. 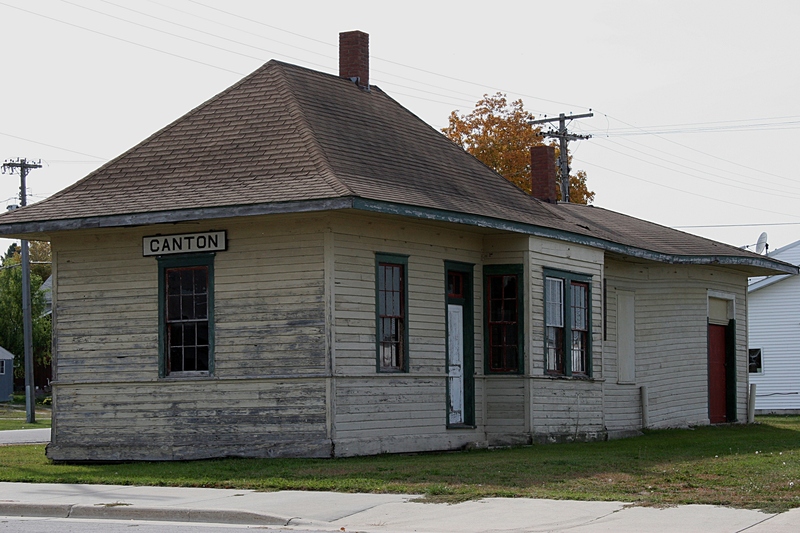 Canton’s original depot, recently reroofed. I don’t know that LeRoy and Kathie share my vision. But they have been thinking preservation as has a railroad buff from California who bought the next door vintage railroad depot, sight unseen, according to LeRoy. The depot came next on our tour (LeRoy’s been entrusted with a key) and I was just as delighted to get inside this historic building. 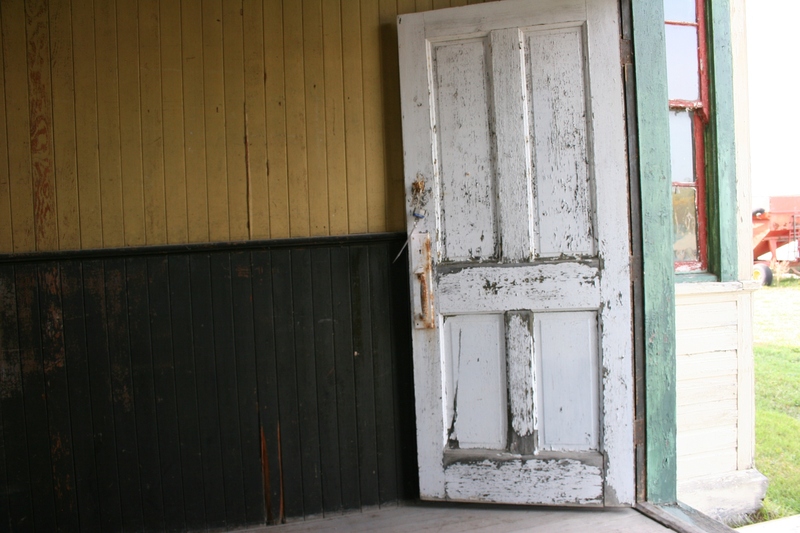 The door LeRoy unlocked into the depot. Love it. The California man has a vision to create a historic site in Canton and a Canton Historical Society has been formed. 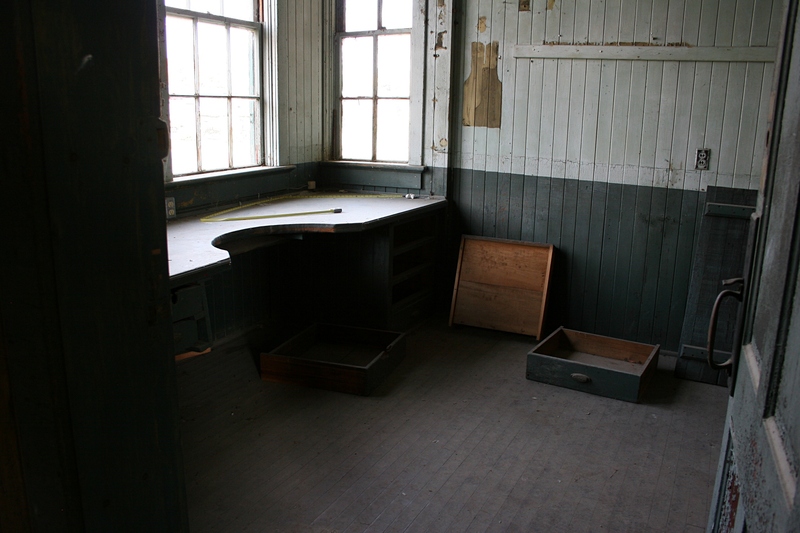 Plans are to seek grants to restore old buildings like the depot. Old elevators like this are disappearing from our small towns, replaced by large, generic storage units. 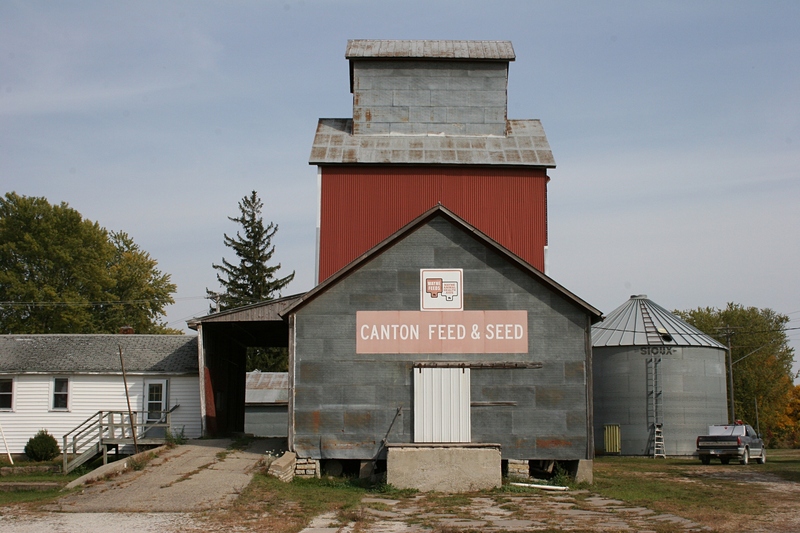 The Canton Historical Society hopes to save Canton Feed & Seed and other old buildings in town as part of an historic site. And that pretty much ended our tour of the portion of Canton which lies off the main route past town, Minnesota Highway 44. Had we not driven into town via the back way, past the elevator, we may have missed all of this, and that personal, historic tour by LeRoy. 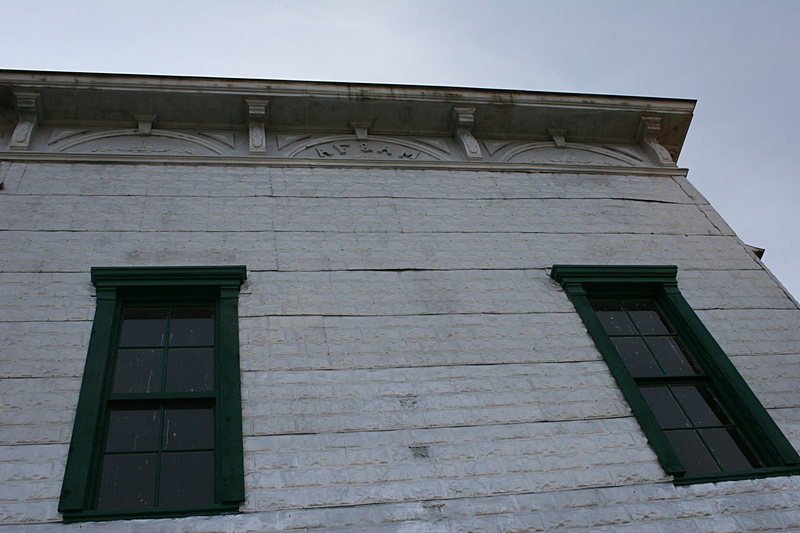 Exterior details on the old Masonic Lodge building. 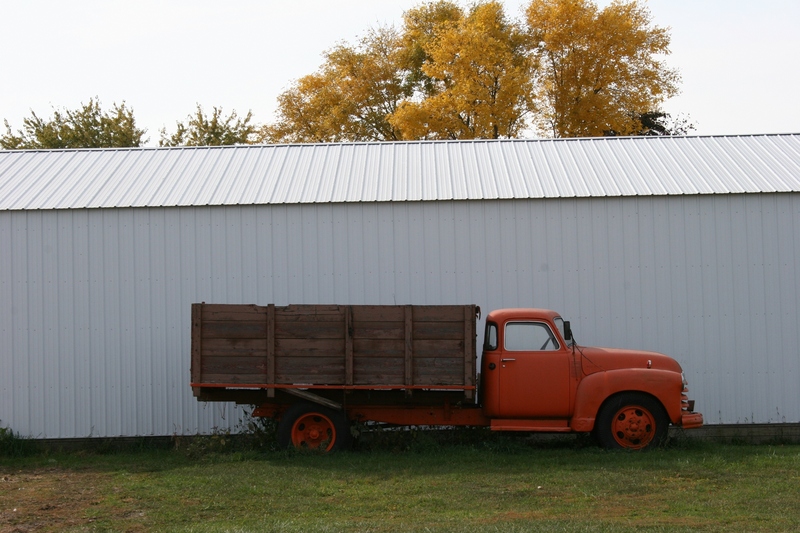 Outside the back door of the antique shop, this tangerine hued vintage truck contrasted against the gray metal caught my artist’s eye. A broader view of the scene directly across the street from Lumber Yard Antiques and the depot. Pure rural Americana. FYI: Lumber Yard Antiques is open from 11 a.m. – 5 p.m. “most days,” LeRoy says, but will be closed from January – March. My apologies for failing to photograph LeRoy and Kathie. What was I thinking? Clearly I was not. CLICK HERE TO READ a previous post from Canton. 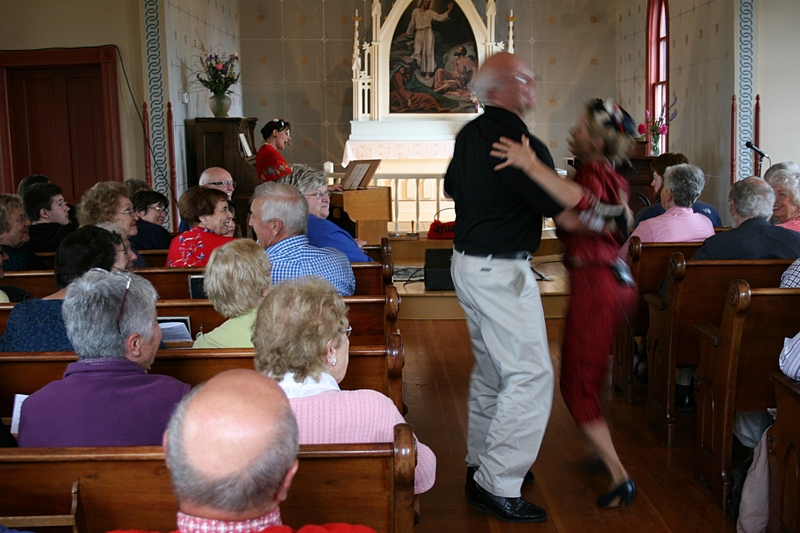 Tina & Lena, waiting to perform at Historic Trondhjem Church, rural Lonsdale, Minnesota. DID YOU HEAR about Ole and Lena’s recent home improvement project? Now, I can appreciate a joke like that. I grew up in a farmhouse without a bathroom, meaning my family used an outhouse. But when it comes to lutefisk, I’m not quite as informed, being 100 percent German and all. I’ve eaten lutefisk (cod soaked in lye) once and, excuse me all you Norwegian readers, but I agree with Tina’s assessment. 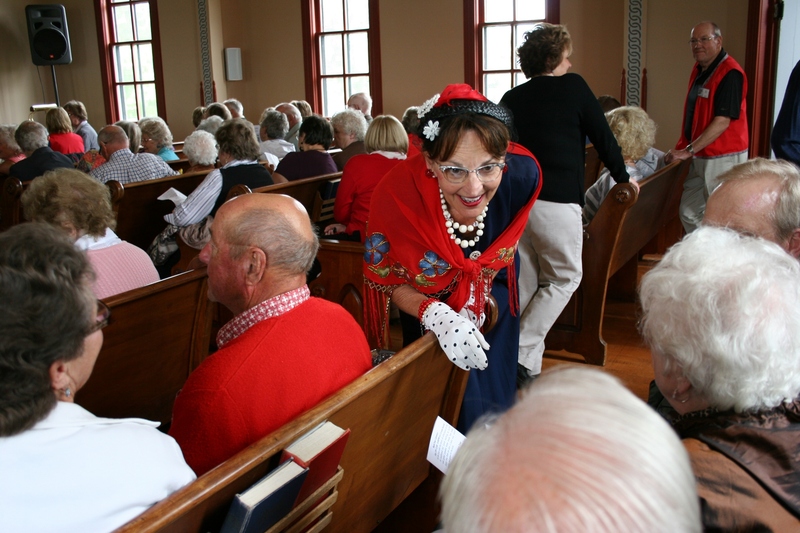 Lena, aka Annette Hustad, chats with audience members before the performance. Rebuilt in 1899 with parts of the 1878 church, the second Trondhjem Church sits atop a 100-foot high hill. Listed on the National Register of Historic Sites in Minnesota, this Norwegian church has walls constructed with 24 corners, supposedly to brace it against the strong winds. The building is an architectural mix of Greek Revival and Gothic Revival with elements of the Norwegian stave church. Old Trondhjem is opened for special occasions as the congregation built a new church just up the road in 1988. Driving down the gravel road just south of the Historic Trondhjem Church. 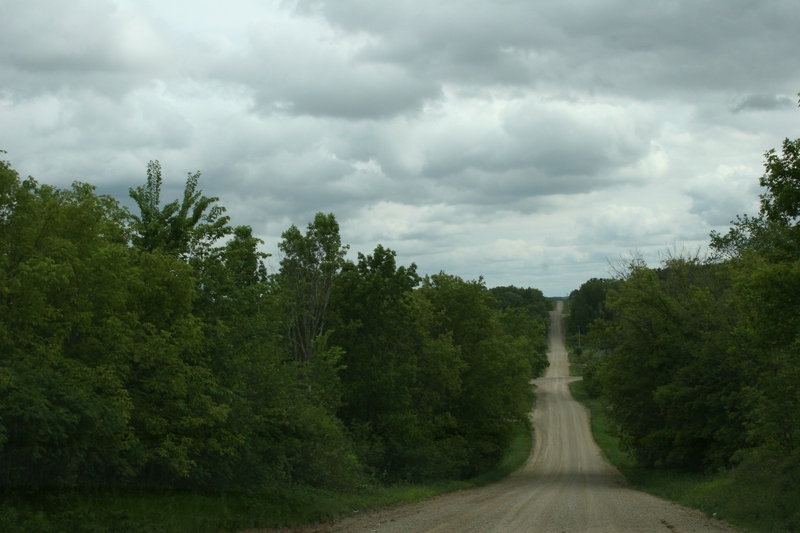 The Trondhjem community includes the townships of Wheatland, Webster, Erin and Forest. And I would add that the 1899 historic wood frame Trondhjem church is anchored atop a windy, very windy, hill just off Minnesota State Highway 19 and along a gravel road that dips and rises like the rolling waves of a stormy sea. I expect the immigrants who arrived here from Trondhjem, Norway, in the 1860s and 1870s experienced stormy seas before settling among the rolling hills and woods so much like the Motherland. 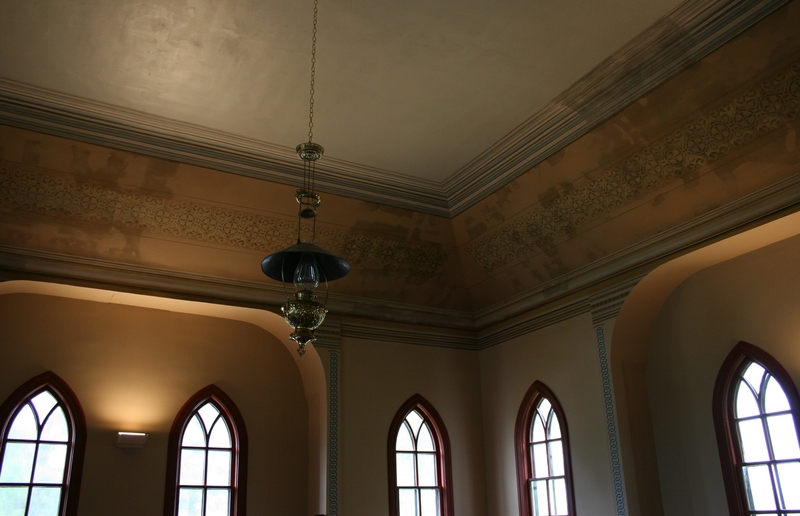 During restoration of the church, a pressed metal cover on the ceiling was removed to reveal original plaster with stenciling. As you can see, the church is bathed in light from the many windows, even on a rainy day. 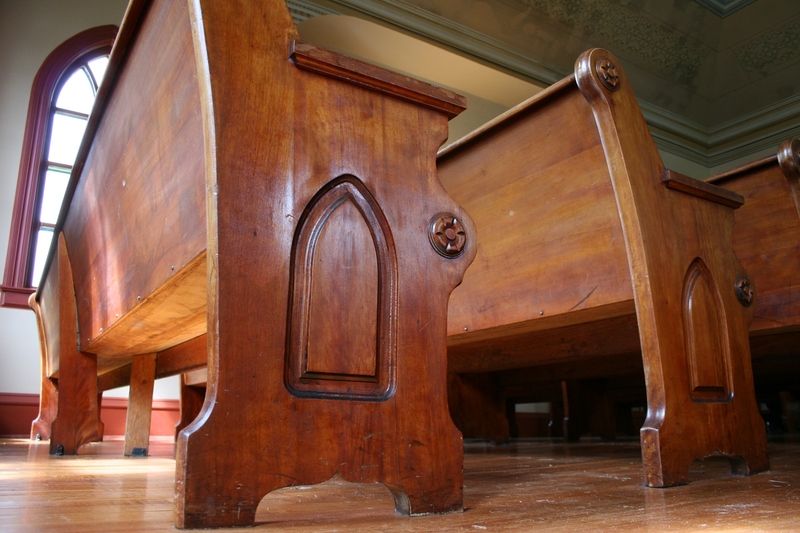 Beautiful pews and the original pine floor grace the sanctuary. 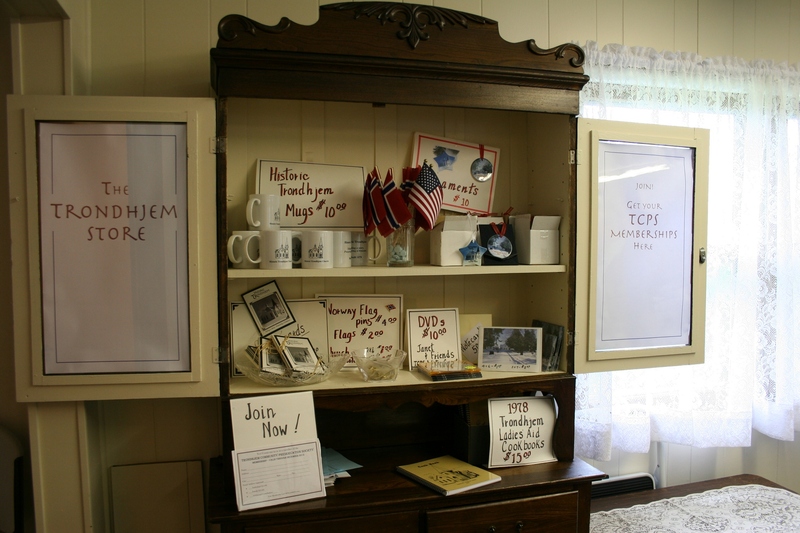 The quaint Trondhjem store is tucked into a cupboard in a corner of the fellowship hall, which also includes a mini museum of historical items, photos and artifacts from the Trondhjem area. 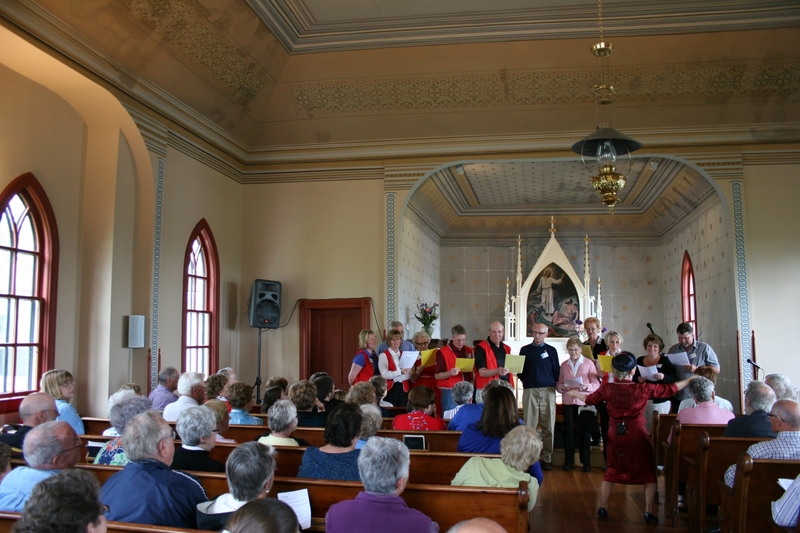 That Norwegian heritage and the history of this place, this Trondhjem in Minnesota, brought about 120 people together on Norwegian Constitution Day for the annual meeting of The Trondhjem Preservation Society and that entertainment by Tina & Lena, who have been on the road for 28 years, performing in 20 states. Tina pulls an audience member into the aisle for an impromptu dance. Tina directs members of the Trondhjem Community Preservation Society/The Hotdish Hallelujah Chorus. Tina & Lena, who in real life are Sue Edwards of Alexandria and Annette Hustad of Glenwood, sang in the church choir while growing up in Canby in southwestern Minnesota. Just knowing they are from my native prairie endears them to me. But it is their ability to slip into the roles of Norwegian women—lilting accents and all—and tell good, clean jokes appropriate for all and spin stories and sing and dance and interact with others that endears them to so many. These women, with energy and enthusiasm, exude absolute passion for making people laugh. 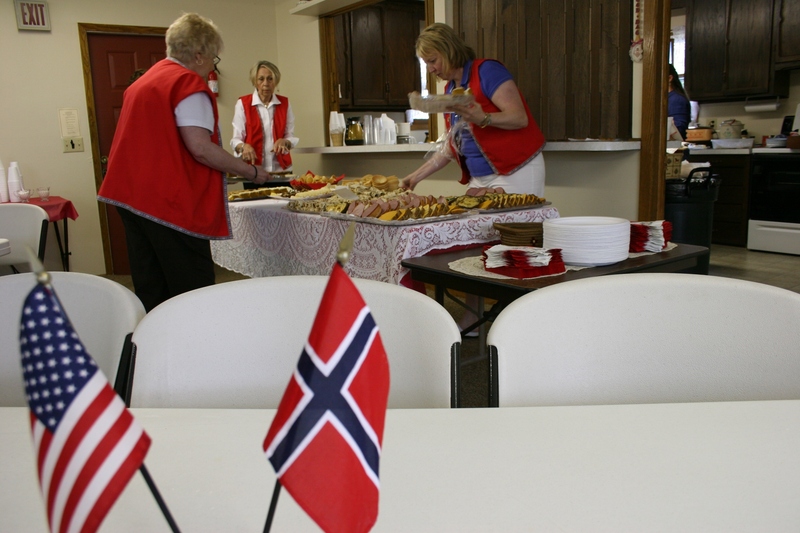 The church/preservation society ladies lay out a delectable spread of Norwegian goodies. Just a few of the treats in the Norwegian buffet. That’s lefse on the right. No hotdish, Jell-O or buns were served during the fellowship hour following the performance and annual meeting. 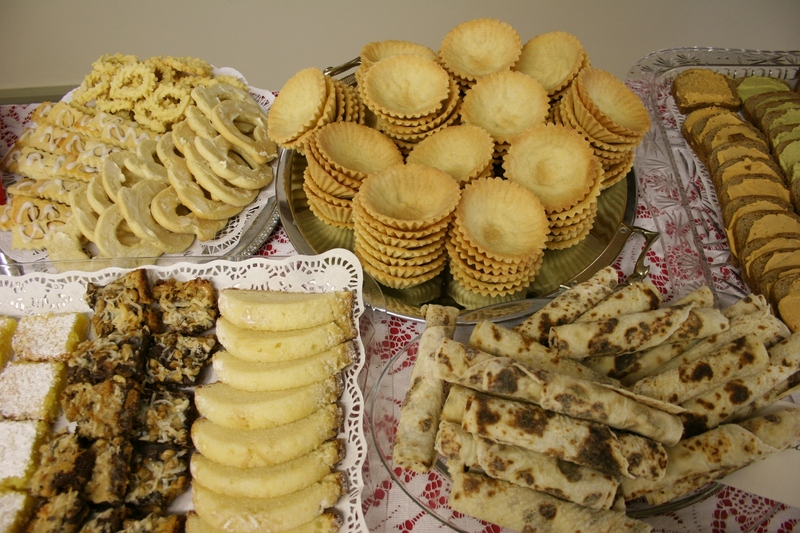 But scrumptious Norwegian treats—none of which I can identify by name (except lefse) because, remember, I am German—were laid out on tables in the social hall. Let me tell you, these descendants of Norwegian immigrants have not forgotten the baking traditions of the homeland. Trondhjem pastor, the Rev. Howard White, had it right when he earlier prayerfully thanked God for the gifts of memory, laughter, tradition, heritage and new beginnings. FYI: To learn more about Old Trondhjem, Historic Trondhjem Church and the Trondhjem Community Preservation Society, click here. 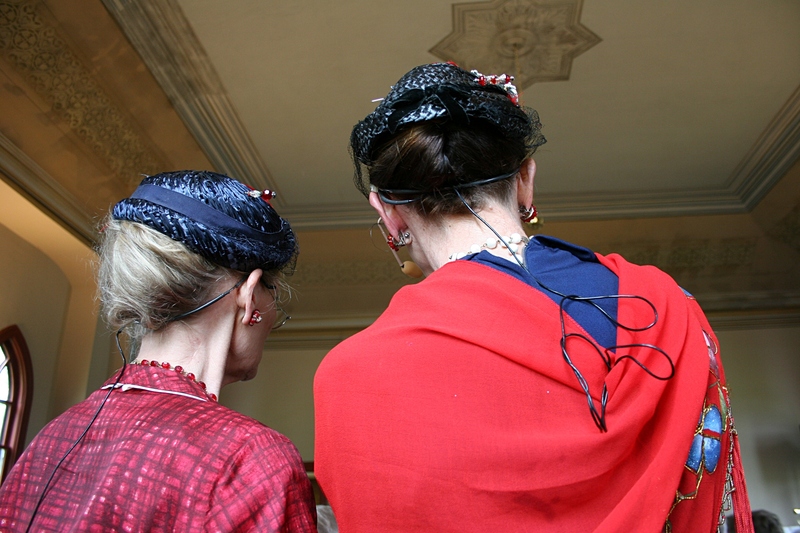 For more info about Tina & Lena, click here. I DIDN’T GROW UP in Faribault. But I’ve lived here longer than any place in my life—28 ½ years—so I suppose that makes me somewhat of a local. As such, I’ve developed an appreciation for the history that surrounds me, especially in the downtown. 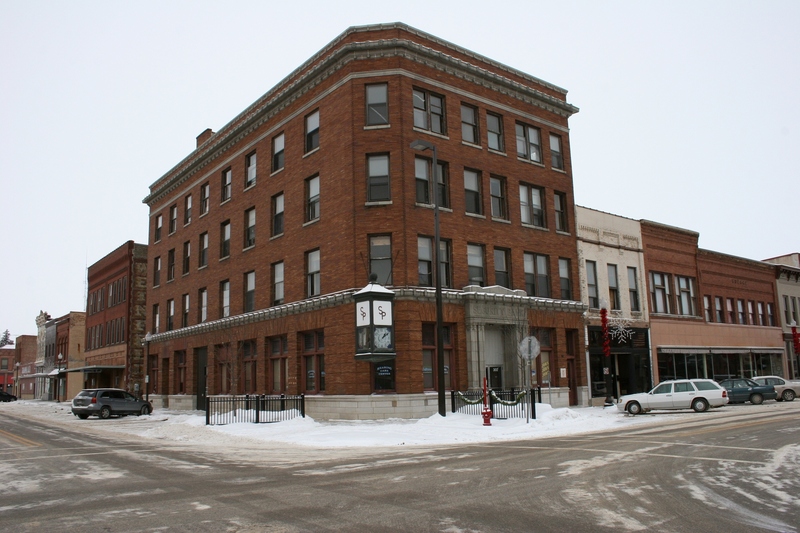 Faribault boasts a historic commercial district graced by many beautiful brick buildings. So when two paintings of old Faribault buildings mysteriously showed up at my friend Rhody Yule’s art exhibit, I was intrigued. I knew the pieces in the exhibit inside and out, backward and forward, upside down and right side up because I submitted the application for Rhody’s show and then helped select the art. Then, suddenly, these two additional paintings—of the Fleckenstein Brewery and the Security Bank—appear. How did they get there? 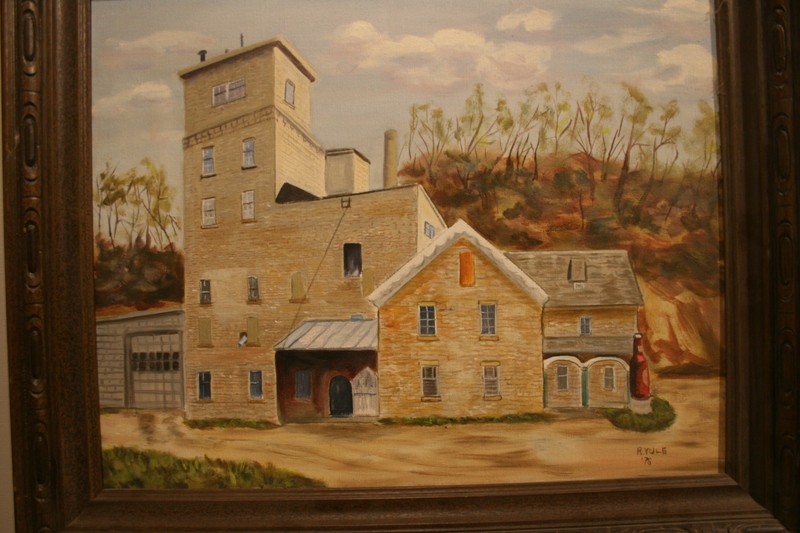 Faribault artist Rhody Yule created this oil painting of the Fleckenstein Brewery in 1976. The building, and the brewery, no longer exist. The 20-foot Fleck's beer bottle on the right side of the painting sat near the brewery entrance. Children often had their pictures taken here when their parents toured the brewery. 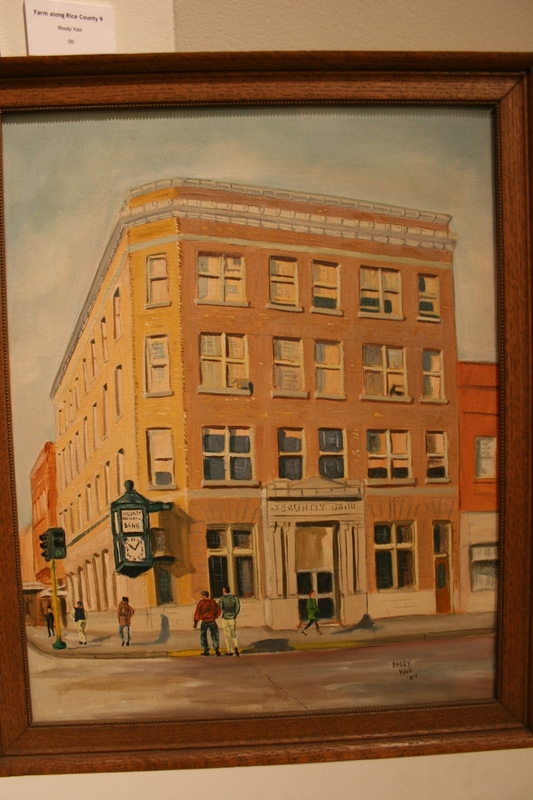 In 1964, Rhody Yule painted this picture of the Security Bank in downtown Faribault. The original 1870 stone structure was covered with a brick facade. The building is no longer a bank. I asked around, but no one could solve the mystery. Thanks to my sleuthing husband, who thought to look at the backs of the paintings, the mystery was quickly solved and I had a name and number. Local history buff Brian Schmidt owns the oil paintings. When he learned of Rhody’s art show, he hustled the two pieces down to the Paradise Center for the Arts because he figured others would be interested. Turns out he purchased them at Woody Schrader auctions, which are held on Sundays and Wednesdays at Schrader’s Faribault auction house. As long as we were talking, I didn’t shy from asking Brian how much he paid for the paintings. He purchased the 1964 bank painting for $30 seven years ago. He got the 1976 painting of the Fleckenstein Brewery about 10 years ago for $90. I told Brian he got a deal. He knew it. But here’s the best part about this whole story. 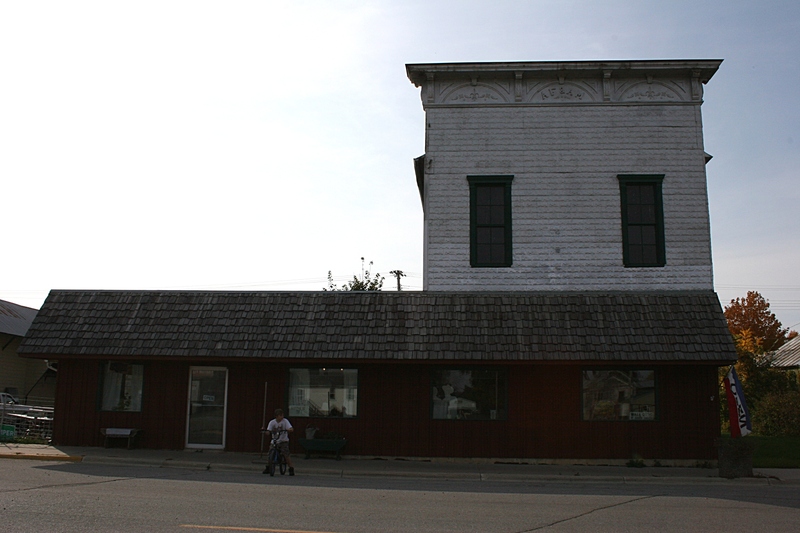 Brian grew up on the north side of Faribault and often dug for bottles in the “bottle pit” at the Fleckenstein Brewery. He’s also considered the local expert on the brewery, he says, and has some 300 collectible brewery items. Who better to own these paintings than Brian? “I love Faribault history,” says this Rice County Historical Society member who is always seeking treasures from the city’s past. He can tell you that the Fleckenstein Brewery had a 108-year history in Faribault, opening in 1856 and closing in 1964. The Fleckensteins made Fleck’s beer and pop. He’s eager to share more and has invited me and my husband to see his collection. For now, though, we focused primarily on those paintings. 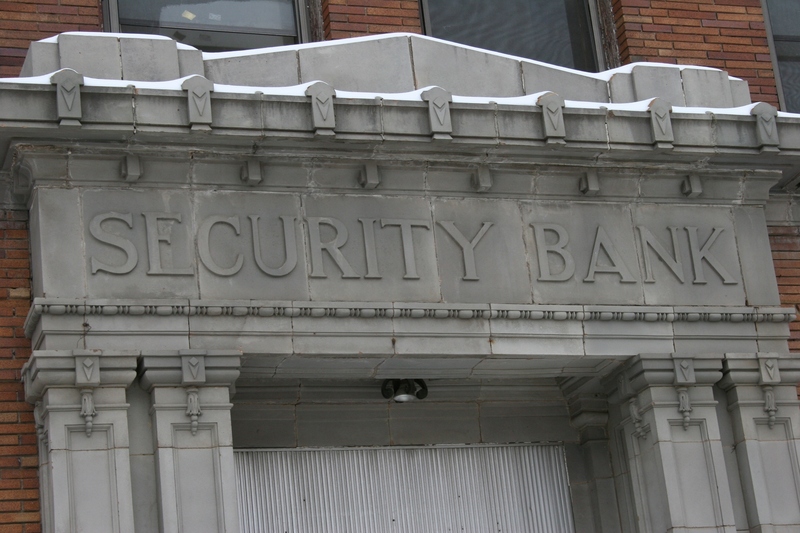 The former Security Bank, today, along Central Avenue in downtown Faribault. 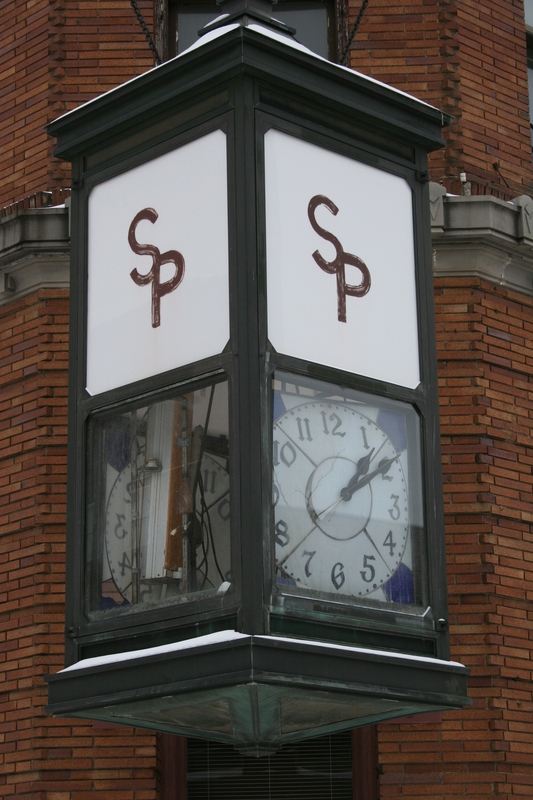 The clock that graces the corner of the Security Bank building has fallen apart. A number of years ago there was discussion about refurbishing the clock, but that didn't happen, I believe, because of the high costs to undertake such a project. The lovely stone entrance to the Security Bank. FYI: Rhody Yule, who was a Faribault sign painter for 33 years, never had a studio. He painted quietly at home for enjoyment. IF ANYONE OWNS paintings by Rhody, please submit a comment here and tell me about the art pieces you have. If you would like to see the Security Bank and Fleckenstein Brewery paintings, which Brian Schmidt terms “so spectacular and detailed,” check out “A Lifetime of Art: The Rhody Yule Collection” at the Paradise Center for the Arts. Hours are 10 a.m. – 5 p.m. Tuesday – Friday and noon – 5 p.m. Saturday. This first-ever gallery show for 92-year-old Rhody runs through February 26. Other exhibit paintings of Faribault buildings include one of the old Trinity Lutheran Church and School and the Faribault Woolen Mill.